With Hurricane Joaquin approaching we can all expect rough seas, rainy weather and strong winds throughout the weekend so be sure to throw an extra clovehitch on the lines and stay indoors! Don't let these rough conditions hold you back from having an excellent weekend though. There are still plenty of indoor events going on all weekend to keep the good times rolling but, mostly importantly, to keep you dry and warm! For any captains and crews who may see rough conditions in their hailing port, there are some great locations in your area to keep your boat safe and sound for the weekend too. "Oktober" is here so let the festivals begin! 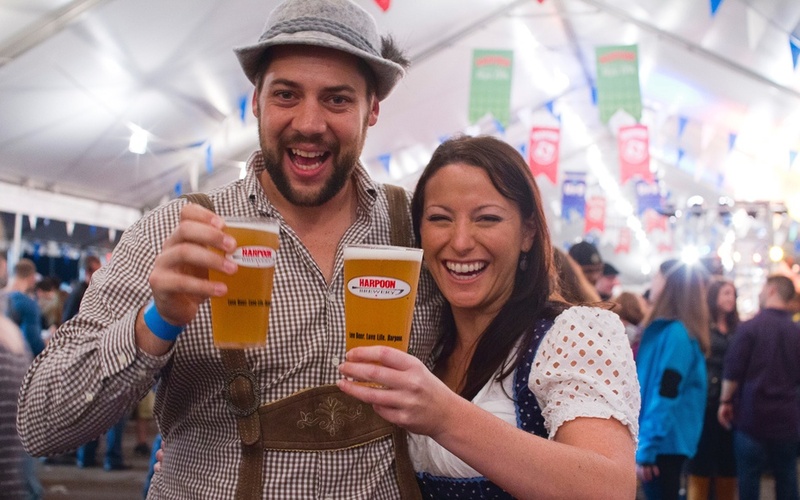 This Friday and Saturday, the Harpoon Brewery hosts their 26th Annual Octoberfest at the Harpoon Brewery on Northern Avenue in Boston. With a little rain headed our way, spend your day under cover with friends, food and plenty of fun! Tours of the brewery are offered to a select few who are able to sign up inside the gates and live bands will be performing from three different stages. There's no parking on site, but safety is key this weekend so take full advantage of the shuttle going back and forth from South Station or get home safe with Uber which is offering discounts and promotions to Octoberfest attendees! With the tri-state area expecting heavy winds and strong seas this weekend, there's no better place to safely keep your vessel than up the river at the Marina at American Wharf in Norwich, CT. While resting easy knowing your boat is safe and secure, enjoy this weekend at the Mohegan Sun Casino & Resort! The marina offers a complimentary shuttle service to guests and, along with non-stop entertainment at the resort, Railroad Earth will be performing on Saturday night. The chill is in the air in downtown Annapolis and you can sense it's that eerie time of the year again! 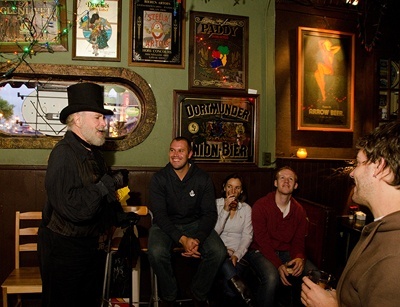 For those autumn lovers out there who love the spookie build up to Halloween, experience the thrill and fun of an Annapolis Haunted Pub Crawl as ghouls and goblins accompany you through the historic taverns and pubs of downtown Annapolis. Each stop is roughly 30 minutes as your guide explains the haunting history of each location and areas close by. Embrace the change of the seasons, and while you're at it have some fun drinking this Friday and Saturday night at 9 PM. Remember to not let these spirits and stories "scare you sober"! The Virginia coast may see the worst of Joaquin but that doesn't mean you can't enjoy your weekend and keep your entire family happy! The Virginia Air & Space Center continues to add thrilling and educational new exhibits with three full floors of fun and the Riverside IMAX close by. 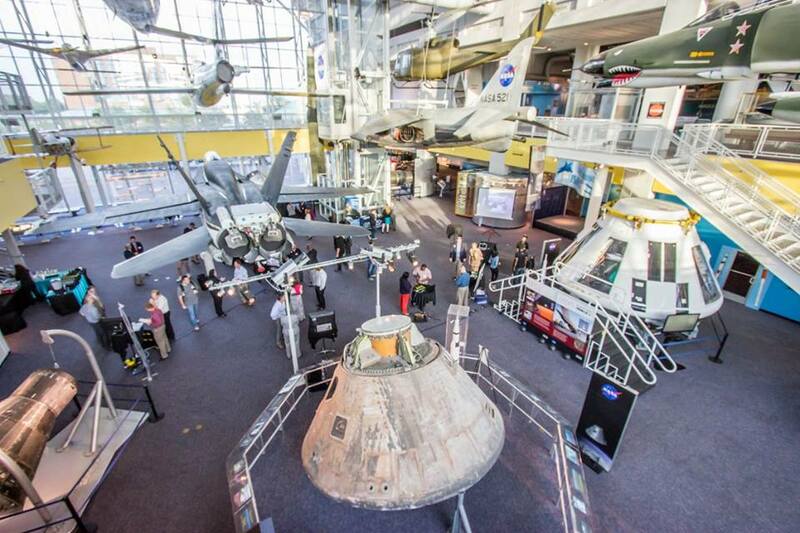 Over twenty aircrafts are on display throughout the venue and, for those looking to leave Earth's atmosphere, experience the Space Quest exhibit and see if you have what it takes to land a space craft on the moon and train for a lunar mission! Stay out of the foul weather this weekend and spend your days inside at one of the greatest interactive museums around! South Carolina may see a little of the aftermath of the storm this weekend but that shouldn't stop you from indulging on some of the finest shrimp and seafood available in the southern Atlantic! The 21st Annual Beaufort Shrimp Festival kicks off at Noon this Friday and continues throughout the entire day on Saturday. Live music, arts and crafts markets, childrens' activities and an abundance of food will be available throughout Main Street in downtown Beaufort! Take part in the annual Charity Shrimp Race and cheer your little shrimp on as the first 10 to finish share the $5,000 cash prize or lace up and join the 5K Bridge Run/Walk. 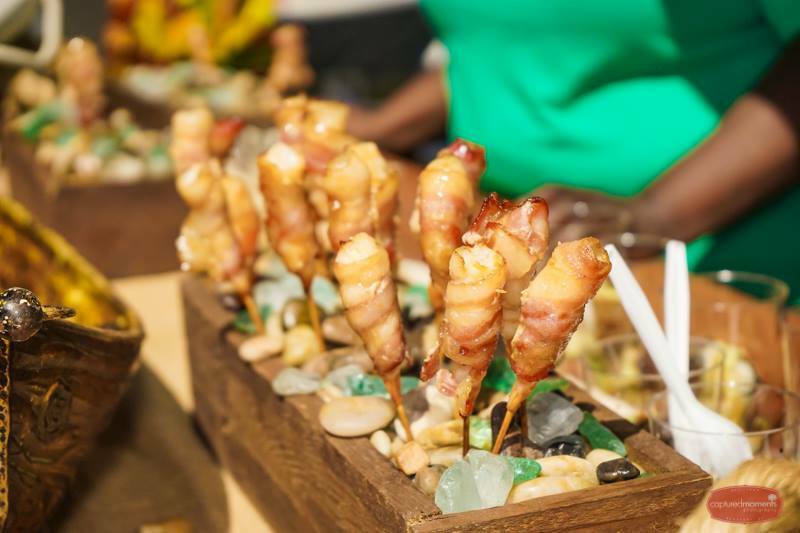 Whether you're racing or just cheering others on, you won't want to miss out on this fantastic event and some of the most delectable seafood of Beaufort! Before making any weekend plans, consult Dockwa to make your time on the water stress-free. As always, let us know if you have any questions or concerns, and stay tuned for future "Weekend Look Aheads". We're adding marinas quickly, but we know we do not have all of your preferred boating options just yet. Please reach out and let us know any marinas that you would like to see listed on Dockwa and our team will do our best to work with them.